Navigating the complexities of today’s changing risk environment can be challenging and requires a diligent and proactive approach. Rich Consulting’s exclusive focus on operational soundness, risk control and compliance provides unmatched and relevant perspective to all industry participants including member banks, Independent Sales Organizations, card schemes, technology and infrastructure providers and more. The end goal is to provide counsel and services tailored to cultivate cohesive, intelligent operations that minimize fraud and risk vulnerabilities, while enhancing effective operations and boosting profitability. 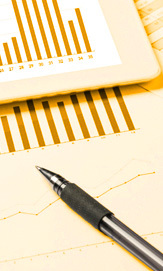 Rich Consulting is approved by Visa and MasterCard to conduct audits for their domestic and global risk programs. More specifically, the firm is qualified to review programs for compliance with Visa’s Acquirer Risk Program (ARP), Global Acquirer Risk Standards (GARS) and Global Brand Protection Program (GBPP), as well as MasterCard’s Fraud Management Program (FMP). Reviews encompass a thorough examination of a client’s portfolio to ensure it meets all card scheme regulations, rules, standards and guidelines along with a gap analysis against card scheme rules and industry best practices. 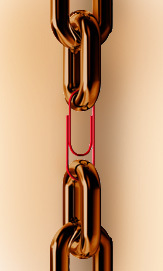 As is the case with many organizations, inherent weaknesses often lie with the documentation of policies and procedures. Merchant acquirers are required to develop a comprehensive set of documented policies and procedures that address risk management and underwriting. 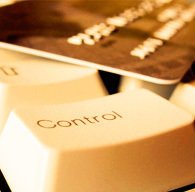 Rich Consulting is a specialist at designing custom and template policy and procedure documents that comply with card scheme rules, and industry best practices. As a thought leader and expert on risk and fraud management, Rich Consulting was instrumental in working on behalf of the Electronic Transactions Association (ETA) to lead an industry effort to develop the ETA Guidelines on Merchant and ISO Underwriting and Risk Monitoring. The Guidelines are designed to provide ETA Members with effective strategies for underwriting and mitigating merchant risk. The guidelines include input from nearly 40 companies and industry representatives, as well as insight from the card schemes, Federal financial and regulatory agencies, and other relevant organizations. 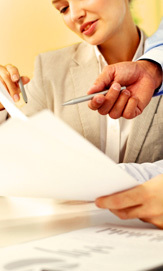 The spirit of the Guidelines and Best Practices is to help ETA Members define their own policies and procedures and make sound decisions as they strive to ensure that they are not providing payments acceptance for merchants or ISOs engaged in illegal or fraudulent acts that harm consumers and the payments industry. The Guidelines are available as an ETA member benefit. 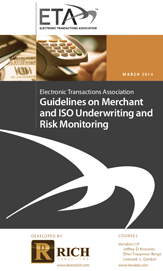 For information about the ETA Guidelines on Merchant and ISO Underwriting and Risk Monitoring click here. When it comes to buying or selling a merchant portfolio, paying close attention to the merchant demographics and operational details that can impact the value and long-term success of the transaction is critical. Rich Consulting provides an insiders view of an organization from a risk perspective to ensure clients clearly understand the types of merchants in the portfolio and the risks they present, as well as the operation’s potential weaknesses. © 2019, Deana Rich Consulting, Inc. dba as Rich Consulting, All Rights Reserved.